Ken Sowden is a member of the committee for the annual British Wrestlers Reunion and site administrator for their website, as well as managing several British wrestling related facebook pages and groups. In the course of my researching for a piece on the reunions, he graciously granted me an interview which was of great help. It was also thoroughly interesting and engaging for myself as a fellow fan of a similar mindset, insofar as wanting to celebrate the rich past, present and future of professional wrestling in this country, and so I wanted to share the whole interview here in full. Ken shares his experiences and opinions about the wrestling business and how he became a part of the family in the pro wrestling community. What are your earliest and fondest memories of being a fan of pro wrestling? I first started going to wrestling shows when I was about 4 years old. My dad and grandad had been great wrestling fans since the late 1940s when my grandad used to be a timekeeper and put the ring up when wrestling came to town, this led to my dad helping out at the halls and ultimately me going to shows and it has continued ever since. 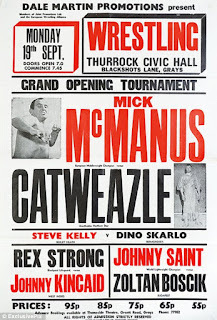 Times have certainly changed over the decades, as a young child I can remember seeing the likes of Mick McManus, Mike Marino, Tibor Szakacs, Count Bartelli, the list is endless but sadly many were in the twilight of their career although still gave great entertainment. 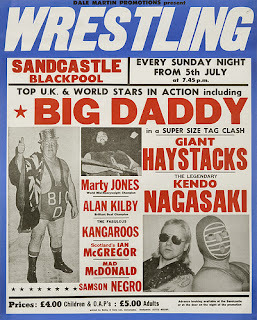 It was probably the late 70s that I realised how big wrestling was but again there was now a change with the huge men such as Giant Haystacks and Big Daddy taking centre stage. Technical wrestling was always my favourite though and I was very fortunate on many occasions to witness bouts between the likes of Jones, Rocco, Finlay, Saint, Grey, Bridges, St Clair, all fantastic bouts which carried on the great tradition that the wrestlers before them had built. 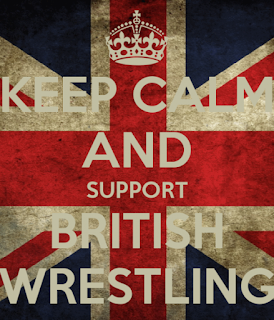 Which British wrestlers do you feel have made the biggest impact on the sport worldwide? It was always said, and I am not going to disagree with this, that Britain had the greatest wrestlers in the World, countries around the world copied our style and even some of the great stars from abroad avoided Britain when they went on their 'world tours' knowing that they could not compete with our stars. As for British stars abroad, many of our wrestlers went on 'tours' and were very successful especially in the German tournaments. When it comes to wrestlers 'settling ' abroad I would say that those who went to America obviously became the biggest stars, the presentation and showmanship that the large American promoters stage make the wrestlers superstars. In my opinion Adrian Street, Billy Robinson, Al Hayes and Tony Charles have all cemented their legacy due to their unique style, this was followed up by the likes of the Dynamite Kid who thanks to his time in Japan and America has to be one of our greatest exports. Move forward to the present day and the WWE have made huge stars of Wade Barratt, William Regal and Paige thanks to their international television deals. What has British wrestling as a whole contributed to the wider wrestling world? As stated above, at one time Britain was the wrestling capital of the world, mat wrestling was entertaining and in my opinion no other country could come close to the product that we could produce. Many of the British wrestlers who went abroad would teach our style of wrestling and this was then adopted by the various countries. 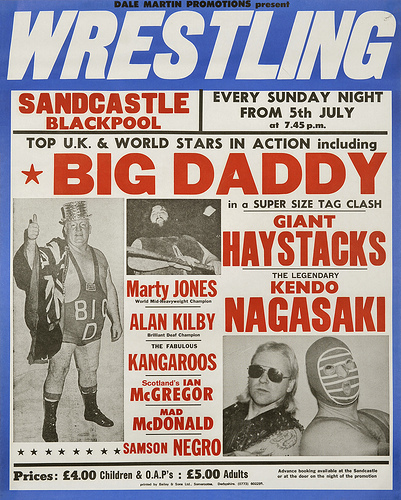 British wrestlers were always in high demand around the world and we also saw our fair share of foreign grapplers coming to the UK to enhance their careers. Which current British workers do you feel have potential to become big stars in the business?There is some great talent emerging in UK rings at the moment and to be honest I have not seen many of them in live action although I am certainly aware of their skills in the ring. The Knight brothers are an awesome tag team as well as singles wrestlers, they are a throwback and in my opinion would be successful anywhere around the World and I would like to see them join their sister in the WWE as I think they would be a great addition to the promotion. Alan Lee Travis from LDN wrestling is also another wrestler who could make it big in the business, he has honed his ring skills to be able to compete anywhere in the world as has Jimmy Meadows who won Young Wrestler of the year in 2014, many of the older pros have said that Jimmy has the makings of an international star and I must agree with their opinion. There are many others who tour Europe, Doug Williams and J D Knight are two others that has what it takes but like I say their are quite a number who, if they get the luck, will become huge stars around the world. Do you think that British wrestling could ever be a strong territory in it’s own right again (like how Japan and Mexico operate), and maybe even get back to the level of the World Of Sport Days? what they can expect from their shows. How did you first become involved with the Wrestlers' reunions? What are the main purpose and aims for the reunions? I was co-admin of a wrestling page on facebook dedicated to the glory years of british wrestling, the page was hugely popular and Alan (my co admin) and I were approached by Frank Rimer of the British Wrestlers Reunion asking if we would like to take over the Reunion website. This was a great honour, I was just a fan and to be asked to take over something that was so big was a dream come true. Suddenly I find myself receiving emails and telephone calls from those great wrestlers who had entertained me for many years and this has just increased the more I got involved with the Reunion, even now I find it very strange when the phone rings and it is the former heavyweight Champion of the World on the other end, after all these guys were huge stars. I can always remember Frank telling me at the outset, if you accepted by the boys (the wrestlers) then you will be treated like family and I can certainly say that is what has happened. As for the Reunion we are here to help, advise and assist. Sadly we have to announce the passing of a wrestler, never a nice thing to have to do, we also (and this is something we never really comment on) help those that find themselves in some sort of difficulty. Of course our main purpose is for one day a year to bring back the glory years of British Wrestling with our Reunion when wrestlers are once again transported back for that one day to the huge stars that they were and the fans get to see those that entertained them night after night. The wrestlers themselves also meet up throughout the year for intimate dinners where they can relive the past, have a few drinks and tell a few lies, these are always enjoyable evenings and something that the wrestlers very much look forward to. The event grows every year in terms of the workers who attend as well as the surging interest amongst fans. How do you feel to se it grow to such a level and what do you think are the main reasons for the success of these events? When the Reunion started it had 6 people and over the years it has grown to the biggest Reunion in Europe and the second biggest in the World behind the Cauliflower Alley Club in America. I have only been involved with the Reunion for a few years and a lot of the credit for its success has to go to Frank Rimer for all his hard work and dedication that he has put in over the years and to Bill and Sarah Bridges for their hospitality. However, during my time the Reunion continues to grow and that is heartwarming especially when you think of how many of the greats have gone to the Dressing Room in the Sky and this year we are expecting another record crowd. Sadly with each year we do loose more and more grapplers but those that remain travel from around the world to be with us and the fans continue to support us which we are eternally grateful for. 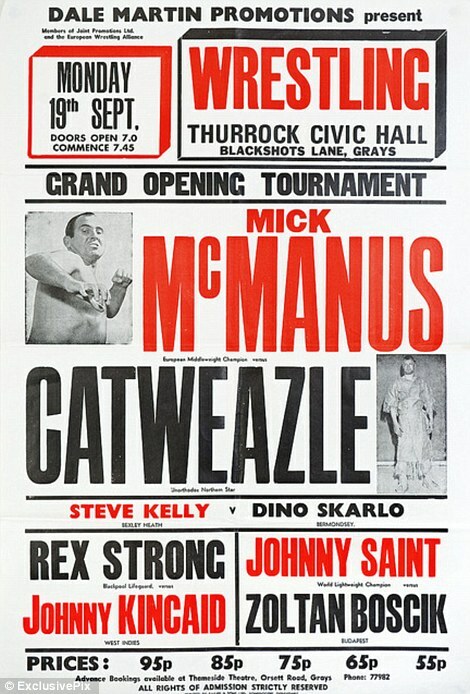 I believe that there is still a great interest in 'the old days', the Reunion website (www.britishwrestlersreunion.com) is more popular than it has ever been, we are also mindful that we have to move with the times and as social media is so popular we now have a facebook page (British Wrestling, the Glory Years) which has seen 1800 likes in a year and so we are coming to the attention of more people than ever before with people who, previously may not have been aware of the Reunion, now are and will be visiting us for the first time this year to meet their heros of the ring and to chat about the old days with like minded fans. What do you see as the future of the reunions and how much more do you think the event can grow? The future of the Reunion will rely on people attending and that is why we are are always anxious for the new breed of wrestlers to attend, this is something that we work very hard on each and every year and slowly but surely more and more are coming, after all the wrestling stars of today are the legends of tomorrow. We advertise current shows on our website and are pleased to say that number of promoters and wrestlers are now taking a keen interest in what we do. Obviously, as the years go by and we all get that bit older there will be those that are unable to attend both wrestlers and fans and we must also remember that their is a a generation of fans who cannot even remember World of Sport wrestling on the tv. Everything has a shelf life and the Reunion is no different, we would like to think that we will continue for many years to come and that we will always be popular and have well attended events, at the moment we are still growing and people still have an interest so that can only be a good thing for all of us. What is it that you look forward to most each year? I look forward to the award ceremony at the Reunion when we get to give something back to the wrestlers, obviously I know in advance who are receiving awards but it is still great to see their faces when their names are read out and humbling to see how choked up some of the boys get when they are presented with their certificates. Of course it is always great to chat to other fans, after all that is what I am, and no matter who you are you always learn something or hear a story that you have not heard before or heard a name mentioned that you have not heard in years. All in all there is so much going on that sadly the day is over before you know it and we have to wait another year before we can do it again. I have been very fortunate and am very honoured to be part of the Reunion, yes it has opened up doors to me with the wrestlers that I would otherwise not have had and I have learnt so much about what goes on in the business behind the scenes. At the end of the day though the Reunion is there for everyone, the wrestling fraternity, and we are thrilled that so many wrestlers and fans want to be part of it with us. To learn more about the reunions and to recieve their related news and updates on the legends of British wrestling, please visit the official British Wrestlers Reunion website.